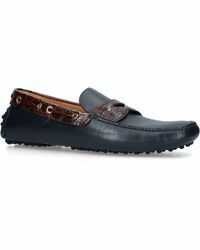 The Car Shoe brand was born in 1963 when Gianni Mostile was awarded with the patent for an innovative model of shoe - a moccasin with soles perforated with rubber studs. Owned by the Prada Group since 2001, Car Shoe remains an emblematic Italian brand renowned for blending a uniquely interesting heritage onto fresh, contemporary designs. 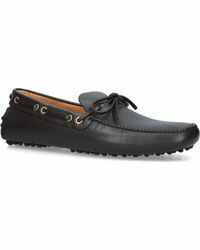 Men's Car Shoe slip-ons are the epitome of timeless luxury. 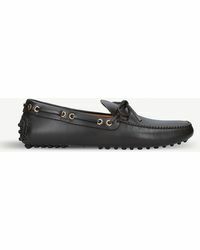 Crafted from premium fabrics, loafers, classic driving shoes, slippers and boat shoes boast a debonair appeal exemplified by embossed finishes, embroidery and embossing. Each sleek and abiding style fits seamlessly into all masculine wardrobes.